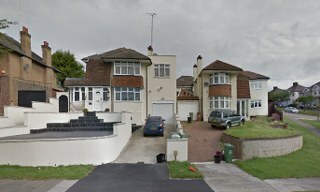 Many people fear that moving to Erith, DA8 with the help of a removals company will cost them a lot of money. 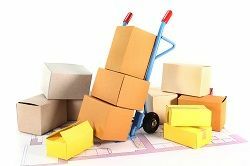 Indeed, working with professional movers means that you will have to pay them the fee they will ask for their efforts. However, this does not mean that paying for professional house or office removals will leave a hole in your budget and that it will be less advantageous than doing things on your own. On the contrary, actually. Packing, unpacking and removing all of your personal belongings on your own can end up in accidents. Sometimes, the victims of these accidents are actually the people who are trying to move their objects (or the friends or relatives helping them). Other times, the accidents can mean some of the things get scratched or broken. On top of everything, DIY removals means that you will have to waste a lot of time in planning, packing, unpacking and removing the things from your home. Here at Moving Service, we want to help you avoid all this hassle. Call us on 020 8746 4402 and we will provide you with a free quote on our services (depending on what your particular situation is). The area is one of the oldest settlements around London and it definitely has a very rich history. These days, the area belongs to the London Borough of Bexley and it is considered to be a district of South East London. Its history goes back in time to pre-medieval times and some of the archaeologists and historians even believe that the settlement is as old as Anglo—Saxon and Roman times. In the Medieval era, the settlement started to be better contoured, but it was not until the industrialization era that it really caught shape. The 18th and 19th century meant a great development for this district and for this reason many parts of the area still keep their original Victorian aspect (the other ones have been destroyed by time, wars and the hands of the men who built more modern buildings instead). Starting with the 1990s, the area saw a new wave of interest directed towards it and it started to be revived at its true value as well. That is why a lot of people choose to move here. If you are among the lucky ones, you will definitely enjoy this place! Erith Removals: Do You Need a Professional Company? Moving Service will bring the professionals what is left for you to do is to enjoy the best parts about moving into a new area. For example, it can be exciting to discover new places, you may get a better job here, you may be nearer to those who are dear to you. Whatever it is, make sure you enjoy it and leave the removals in Erith, DA8 to us. We will bring as many movers as you need (although most frequently two well-trained people are more than enough) and we will bring the lorry or removal van in DA8 area you need as well. Even more than that, we can also help you pack and unpack your things and this is beneficial not simply because you will not have to waste your own time doing this but also because we will make sure everything is stable and that the risk of accidents is lowered as much as possible. Contact us today on 020 8746 4402 and our customer representative staff will provide you with every bit of information you need. And if you want to learn more about moving and how to do it hassle-free, stay in contact with us.